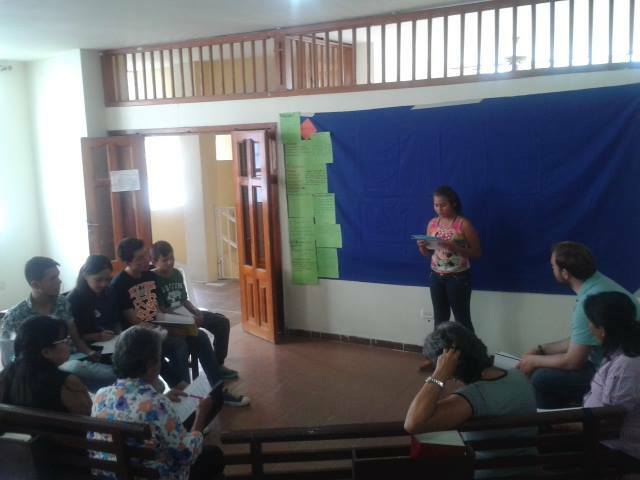 In a workshop this past Saturday, the 13th of June, in the city of Bucaramanga, as we talked about the role of the church in working toward reconciliation, we were all grateful for the humbling presence of children. Two thirteen year boys and a ten year old girl participated, actively and profoundly, in our conversations. The conversations started with everyone sharing how they define the term reconciliation, how they understand what the word means. Lizeth Toloza, the ten year old girl, offered her definition early on. She explained that she understood reconciliation as a process, not as an event, that we must always be working towards to build it or to safe-keep it; that this process of reconciliation is very fragile and is in need of constant upkeep. This set the stage for how our group would continue to discuss the concept of reconciliation; looking towards those processes that the church can support or initiate. Continuing with the active and deep participation of these children, their perspectives along with their “beyond their years” wisdom became integral to the entire workshop. These inter-generational activities and conversations held throughout the workshop dealt with processes of reconciliation at levels from the personal to the church, and from the community to the nation. 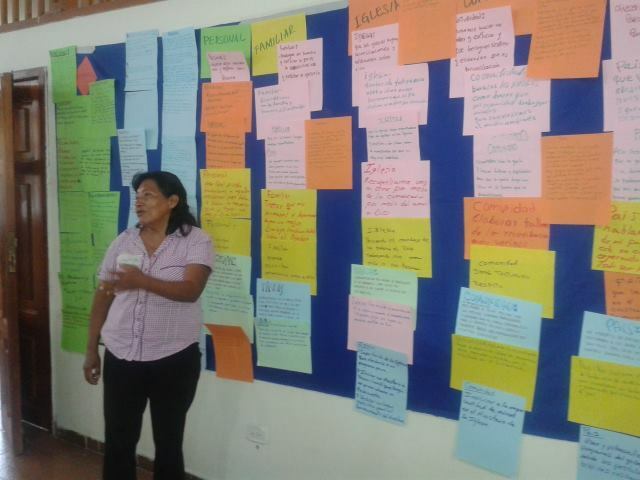 The participants brainstormed the creative and the practical and even dreamt of the seemingly impossible ways to defend, promote and respect the reconciling work of the church in the world. 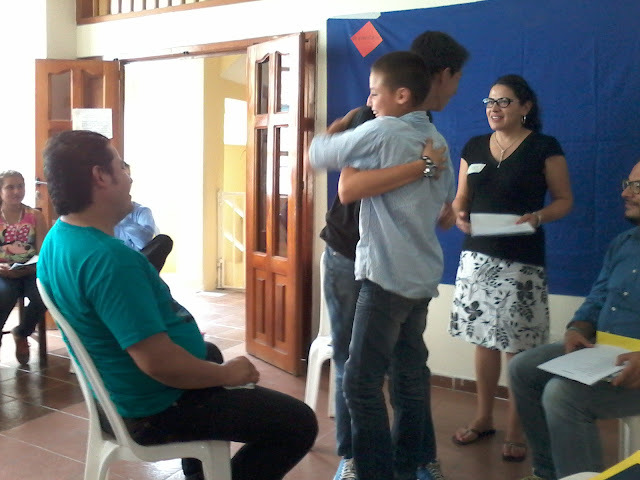 I look forward to continue these workshops about reconciliation. 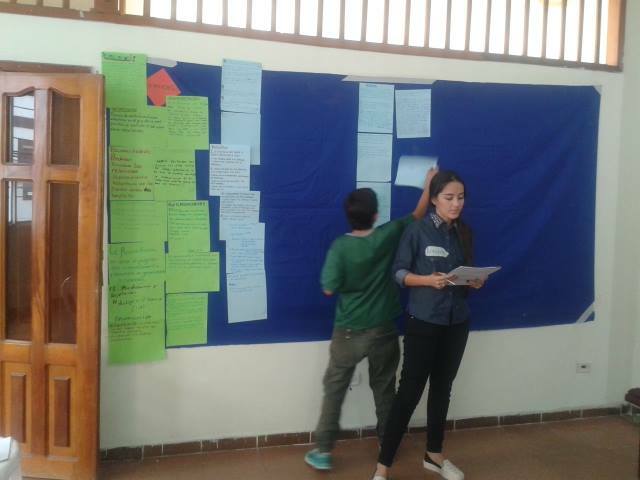 There remain two more planned for this year, one in Paz de Ariporo and the other in Sogamoso. We have already completed two, one in Bogota and this one in Bucaramanga. They have been inspirational and encouraging.